A 20-YEAR -OLD man has pleaded guilty in court to assaulting a 10-week-old baby girl. 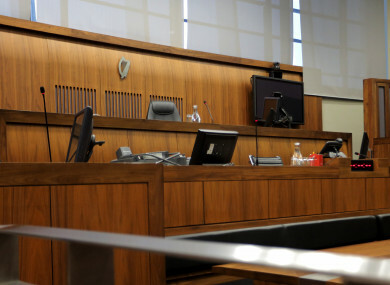 He pleaded guilty to intentionally or recklessly causing serious harm to the infant at an address in county Louth on 13 March 2017. At the time the accused was 18. The case was listed for trial at Dundalk Circuit Court but today Judge Patrick Quinn was told the accused was entering a guilty plea. The court heard that a number of reports would need to be prepared on the accused in advance of sentencing and the case was adjourned. Email “Man pleads guilty to assaulting 10-week-old baby girl”. Feedback on “Man pleads guilty to assaulting 10-week-old baby girl”.